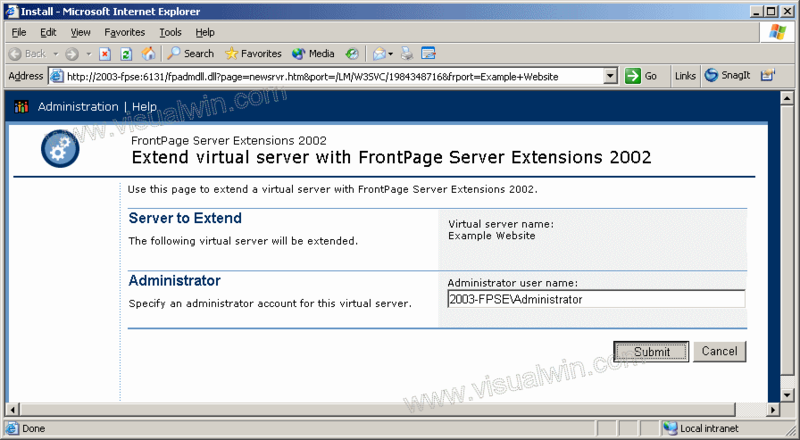 This tutorial will show the extending of a website so that FPSE can be used. 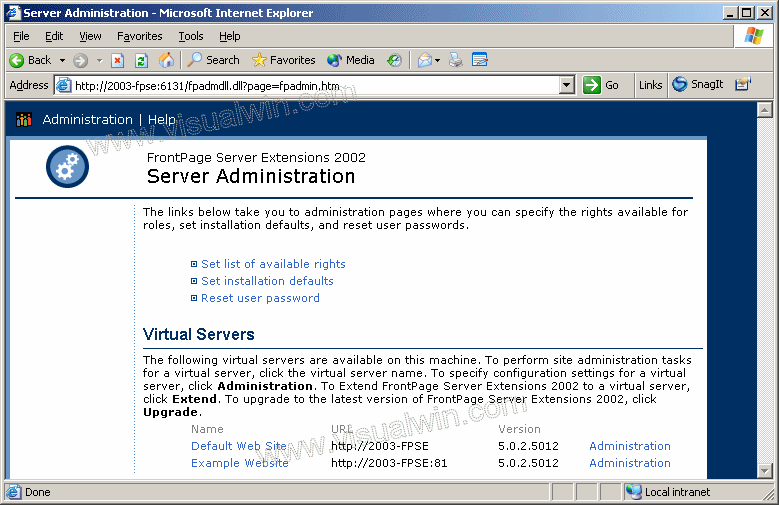 A website doesn't have the functionality that FPSE adds without being "extended," even if it is on a server where FPSE has been enabled. 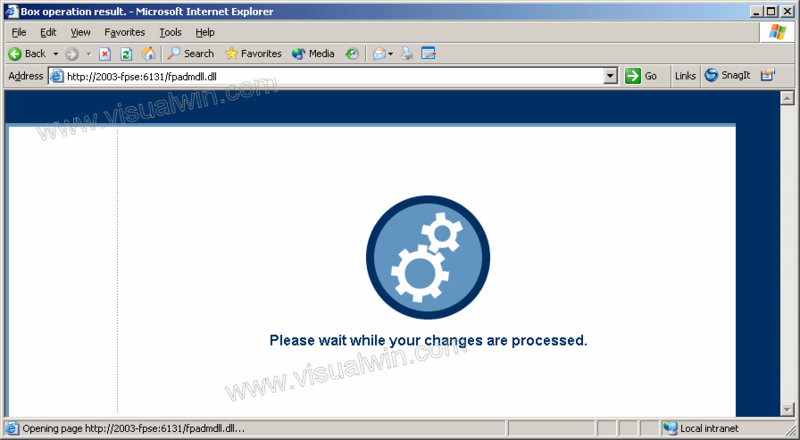 Thanks to Joseph Voldeck for providing most of the content in tutorials 2-4 of this set. 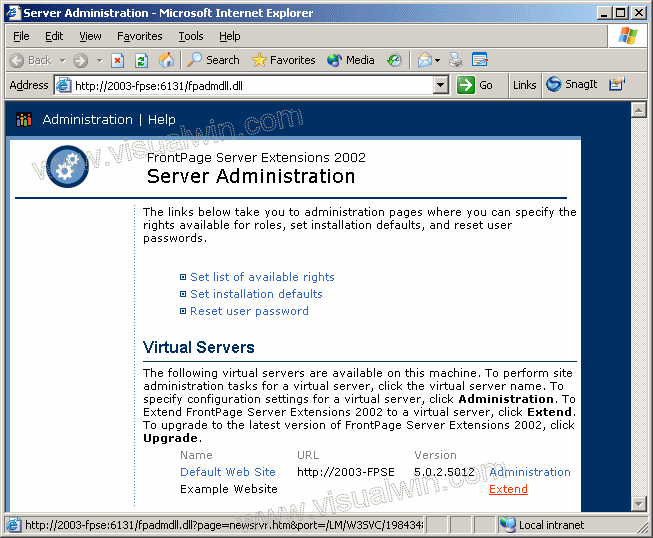 To extend a server, we need to load the "Extend virtual server with FrontPage Server Extensions 2002" webpage. There are two ways to do this, and both will be shown in this tutorial. 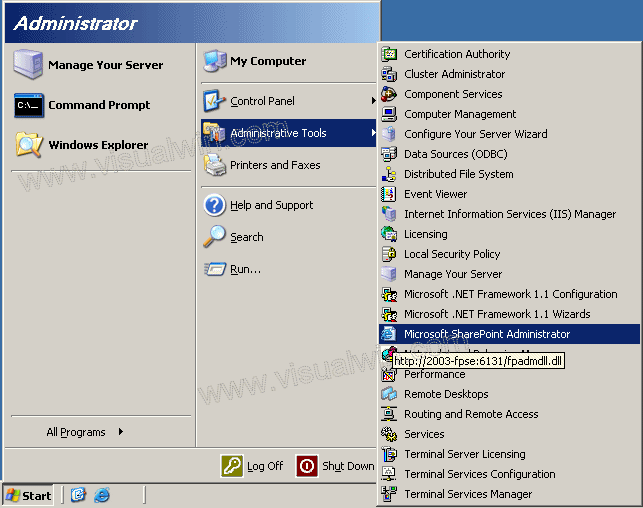 Immediately below is the method that uses the IIS Manager, and below is the method that uses the Start Menu. 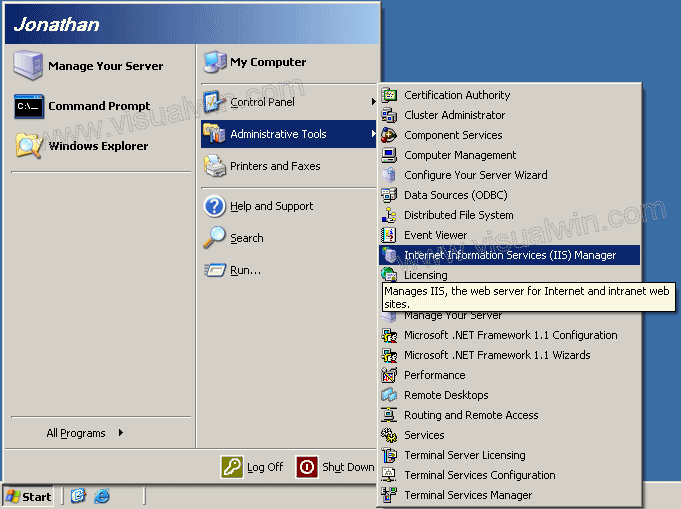 Expand the Computer Name and the "Web Sites" folder, then right click on the website you want to extend, mouse over "All tasks" and click "Configure Server Extensions 2002"
And the site has been extended!